Continue reading this paper. 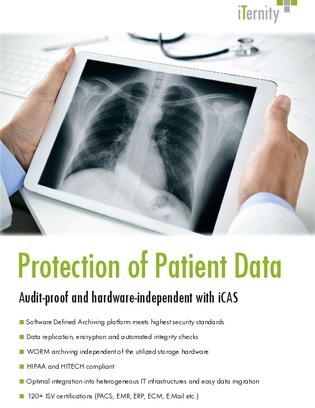 It will introduce you to a software-defined archiving system—iCAS—that protects data with the highest security standards for audit-proof compliance. Built to meet the most stringent requirements like HIPAA, HITECH, and the GDPR, learn how it can help your organization, as well.